A new book on the antebellum period captures the dangers of confusing self-improvement with institutional change. 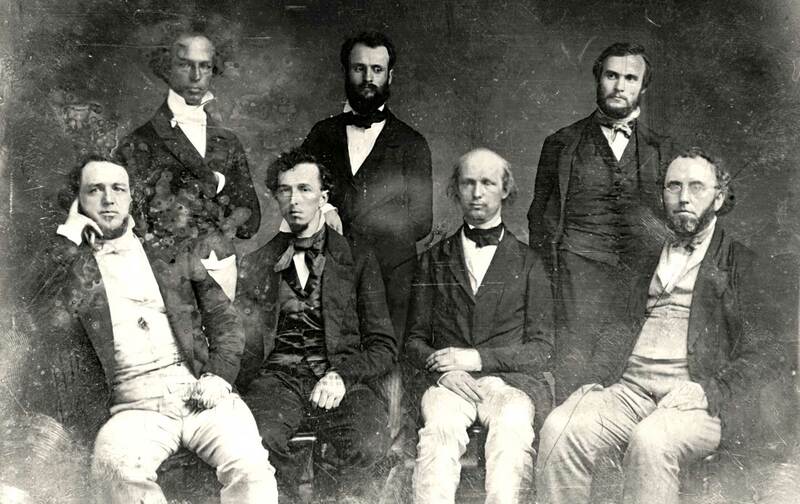 According to Gura, these seven figures were representative of a broader self-help culture of reform that spread across the United States in the years before the Civil War. Shaken to their core, they each scrambled after various panaceas—some of them pretty weird—to revive the country from its economic stagnation, which they generally assumed had its root cause in the poor physical or mental health of the individual, a being innately virtuous, creative, and capable of spiritual elevation. Hence the “romantic” in the title of his book: These reformers set out to nurture the “better angels of our nature” years before Abraham Lincoln uttered that memorable phrase in his first inaugural speech. Greeley’s idealism didn’t go that far, but he did adopt Fourier’s views sufficiently to urge Ripley to retool his agrarian project into a complex of phalanxes for the manufacture of pewter, shoes, and window sashes, hoping to fill Brook Farm’s coffers by making it the poster child for the New York Associationist movement (as the Fourierists were called). It was a bad decision. As Sterling Delano points out in his Brook Farm: The Dark Side of Utopia, the New York and New England chapters of utopia differed on dicey political matters. For example, Brook Farmers opposed the war with Mexico and the extension of slavery, a position that prominent New York Associationists labeled treasonous. Without New York backing, Brook Farm sputtered along for another year, until smallpox, internal wrangling, and finally fire razed the place in 1846. As for Greeley, he too did not want to replace capitalism, Gura argues, but rather just “control it for the good of all,” and he evidently supposed for a while that the issue of slavery could be handled with slow deliberation, or “by tinkering with what amounted to middle-class socialism.” Like many of his other reformist compatriots, Greeley would be radicalized in the 1850s, although Gura is far more interested in the decade before, when the utopian dreamers concocted schemes like that of William Batchelder Greene (the subject of another chapter), who was briefly associated with Brook Farm but, having read Pierre-Joseph Proudhon, sought to develop a scheme for a new banking system to eliminate fluctuations in the market. Greene’s plan, which he called “mutualism,” or mutual banking, circumvented the need for both paper currency and specie (silver or gold) with a credit system anchored by real estate and Christian humanism. That plan, like Greene himself, is mostly forgotten now. But after two years spent divining his own nature at Walden Pond, what then? How would Thoreau implement what he had learned there, once he returned to Concord and the world at large? According to Gura, Thoreau turned to civil disobedience: He would resist the government when its actions contravened his conscience. And Thoreau did just that during America’s invasion of Mexico, refusing to pay his local poll tax, even if it meant a night or two in the Concord jail. But is violence the fate of all thwarted idealism? Surely, idealism did not spark the sanguinary Civil War, and long before it, many people knew that devastating social problems could not be solved by the likes of Mary Nichols, Orson Fowler, or even John Brown. And the idealists—including liberals like Charles Sumner, Lydia Maria Child, and David Walker, to say nothing of pragmatic politicians like Abraham Lincoln—never really relinquished their commitment to a more perfect union. Nor did they sink into despair or desperate action.